Two days after Roger Stone, a longtime friend of President Donald Trump, was arrested in Florida following a seven-count indictment filed against him, the chairman of the House Intelligence Committee predicted that this latest move from special counsel Robert Mueller would not be the last. On "This Week," Rep. Adam Schiff, D-Calif., said, "It's clear that Mueller's work is not yet done, and we can see clues of that in the grand jury activity." Earlier on the program, Stone told ABC News' Chief Anchor George Stephanopoulos that he expects “to be acquitted and vindicated” and that his attorneys believe the indictment against him was as "thin as piss on a rock." Stone added, "I’m prepared to fight for my life." Schiff dismissed Stone's characterization of the indictment, telling Stephanopoulos that Stone "is going to need a much better defense than the one you just heard," because the allegations of lying and witness intimidation are "not ambiguous statements, they're very detailed." In the special counsel's 24-page indictment filed on Thursday, Stone is charged with lying to Congress -- including Schiff's committee -- obstruction of an official proceeding and witness tampering. 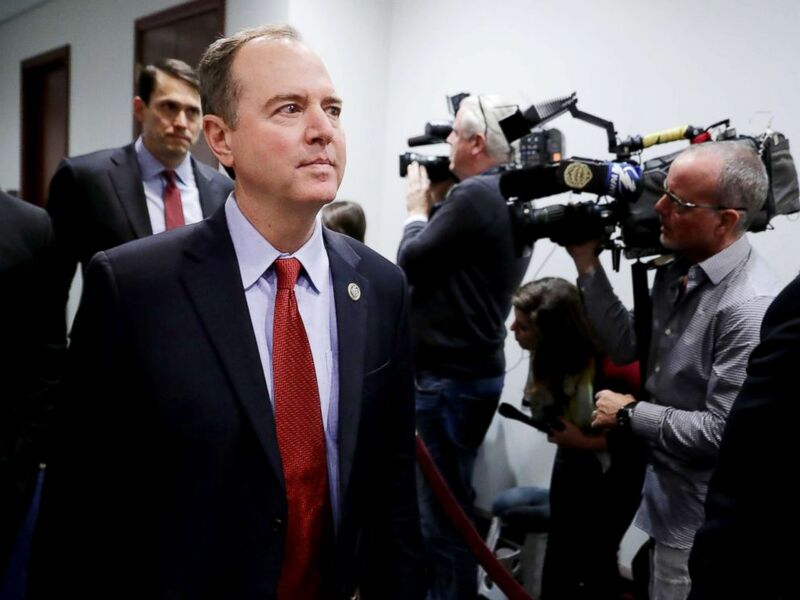 House Intelligence Committee ranking member Rep. Adam Schiff arrives for a Democratic caucus meeting in the U.S. Capitol Visitors Center, Nov. 14, 2018, in Washington, D.C. The indictment alleges Stone made false statements to the House and Senate Intelligence Committees regarding his communications with associates about WikiLeaks, ABC News reported on Friday. Schiff said in a statement on Friday that his committee will "continue to follow the facts wherever they lead." A chorus of Democrats in Washington pounced on the indictment as evidence that the special counsel's investigation remains critical to resolving lingering questions about Russian interference in the 2016 election. In a statement, House Speaker Nancy Pelosi, D-Calif., posed the question, "...what does Putin have on the President, politically, personally or financially?" Meanwhile, the president’s attorney Jay Sekulow maintained that there is no Russian collusion, and that Stone’s indictment had nothing to do with the president. Schiff said that the special counsel has the "advantage of a lot of evidence" that the House Intelligence Committee doesn't have. He added, "I expect, George, that if there is a conspiracy to defraud the United States, a collusion indictment, it would be the last indictment Bob Mueller would seek, not the first." But the American people seem to have concerns about the special counsel's investigation, according to a new poll. An ABC News/Washington Post poll this week found that 50 percent of Americans have just some or no confidence that the Mueller report will be fair and even-handed. Republican and even some Democratic lawmakers have called on Mueller to share his findings with the American people. Member of the House Intelligence Committee Adam Schiff speaks after U.S. Attorney General Jeff Sessions attended a closed door interview with the House Intelligence Committee on Capitol Hill in Washington, Nov. 30, 2017. Schiff emphasized he's grateful the special counsel considers lying to Congress very serious. "If there were innocent explanations for all of this, why all the lies?" Schiff asked. "Why all the repeated efforts to get Russian help?" 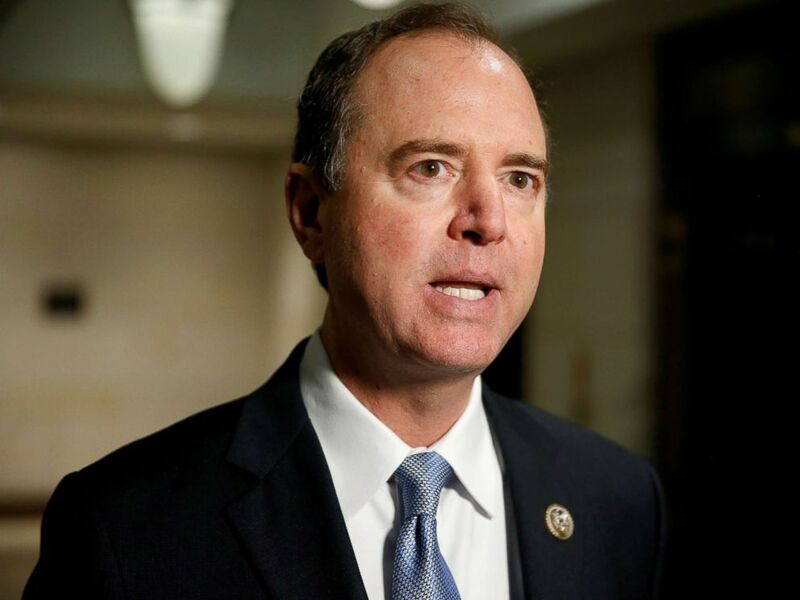 It remains unclear whether a final report of the special counsel's investigation into Russian interference in the 2016 election will be released -- even to Congress -- according to Schiff. But he said Congress will remain steadfast in its commitment to ensuring the American people learn the truth. "One way or another, we are determined the public is going to know exactly what Donald Trump did, what his family did, what his campaign did, what the Russians did, and what we need to do to protect our country," he said. Stephanopoulos also asked Schiff about impending negotiations to fund the government beyond the current deadline in three weeks. Schiff said that while he's still opposed to wall funding, he's optimistic about negotiations and "confident and hopeful we're not going to see shutdowns again," adding, "One of our top priorities is passing a bill to make that kind of shutdown impossible in the future." 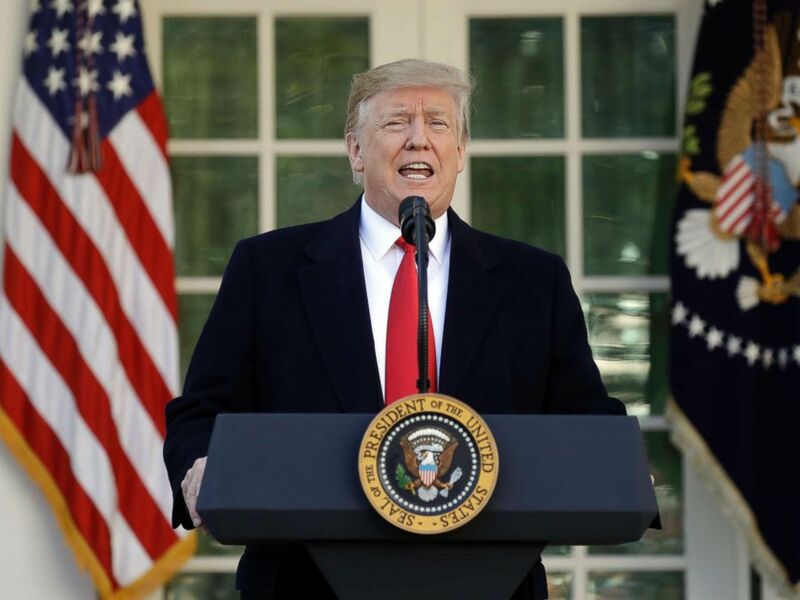 The funding deal signed by the president late Friday is due to expire on Feb. 15, at which point the government may face another shutdown.